War Child Canada is stirring consciences with “Help Child Soldiers”, a provocative and ironic multimedia campaign designed to call attention to the estimated 300,000 children around the world who have been forced or drafted into armed groups. The charity is raising funds for humanitarian assistance to war-affected children around the world, as well as raising Canadian involvement in advocacy for the 300,000 children around the world who have been forced or drafted into armed groups. 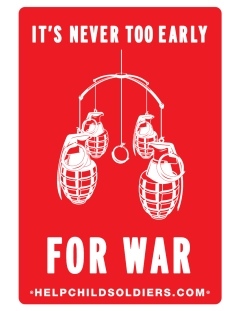 Printed posters and online badges state “It’s never too early for war!” and “War is for kids!”. A 2:40 mockumentary film presents Canadians who believe that helping child soldiers means sending them guns and supplies to help them in their battles. A knitting circle prepares balaclavas. A couple sponsors a child soldier. 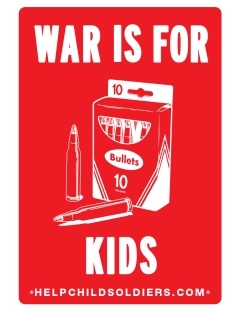 In the classroom children make targets to help children their own age fight their wars. See extended videos of the knitting circle and classroom at the end of this post. 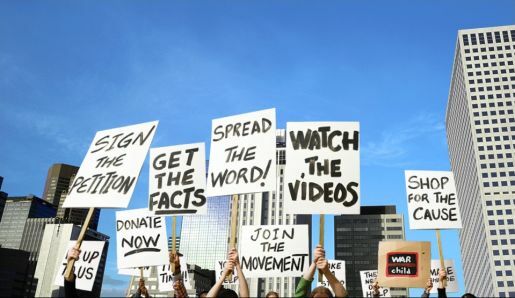 The ‘Help Child Soldiers’ campaign is designed to attract Canadians to the site www.Helpchildsoldiers.com where they are empowered to take action. 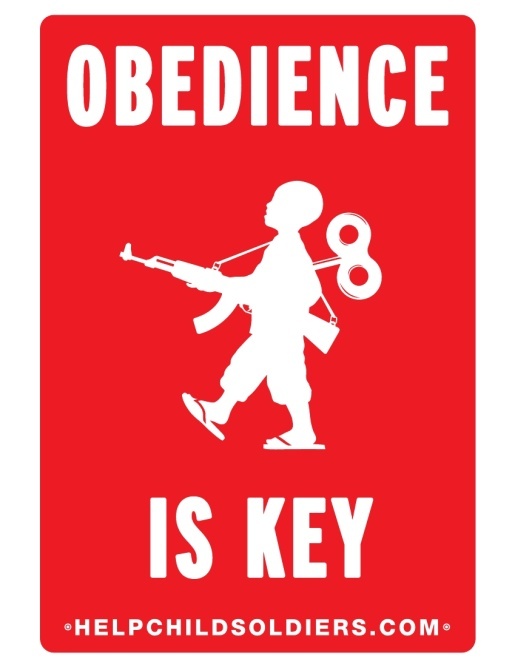 The site will offer ways to become engaged and informed about the problem of child soldiers, ways to help and donate and links to the www.warchild.ca site. All funds raised by the campaign will support War Child Canada’s international programs. The campaign is also online at the War Child Canada Facebook page. In this video Topham talks to CP24 about the campaign and the range of reactions to it, two months down the track. The Help Child Soldiers campaign was developed probono at john st., Toronto, by creative directors Stephen Jurisic and Angus Tucker, copywriter Mia Thomsett, art director Stuart Campbell, and agency producer Michelle Orlando. Public relations company was Hill & Knowlton Canada. Filming was shot by director Henry Lu via Soft Citizen, with director of photography Brendan Steacy, producer Andrew Graham, executive producers Link York and Eva Preger. Editor was Ross Birchall at Bijou Editorial, with assistant editor Melanie Hider. Post production was done at Alter Ego. Illustration for the print campaign was done at Parishil Studio by designer Stuart Campbell. The helpchildsoldiers.com web site was developed at Principle. The Warchild Canada Newsroom design was produced by Relish Interactive.